These free courses will help update your skills with blended, OER, Universal Design and more. Let 2016 be the year you revamp your understanding of technology-enhanced teaching or add a new skill for helping students learn. We've culled through hundreds of massive open online courses (MOOCs) that are starting in or after February 2016 to identify seven free courses for fine-tuning the instructional practices in your classrooms. Description: Learn how to create open educational resources (OER) for people in adult basic education programs. Why you should take it: By the end of the course, you'll have earned an instructional design service badge and created curriculum that could find its way into the OER Commons! 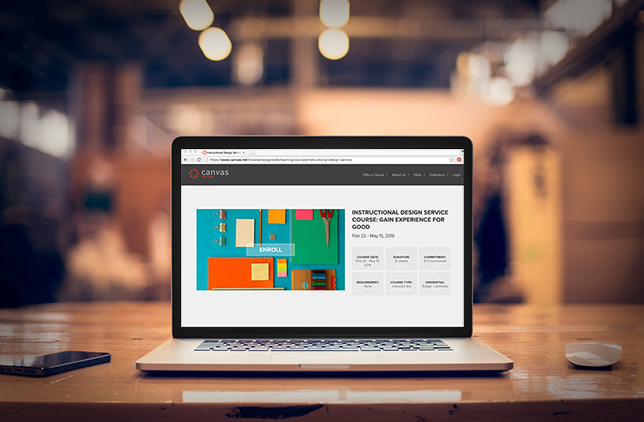 Description: This MOOC will talk you through the Blended Learning Toolkit, a free, open resource for institutions that want to develop or expand their blended learning programs. Why you should take it: You don't have to reinvent the wheel. If you're not already trained on teaching courses that blend face-to-face time with online elements, here's your chance to learn from the pioneers at UCF! Note: You can learn the BlendKit on your own, sans MOOC, and still get some real-time sessions with experts at UCF and other schools. Check the schedule here on the UCF Web site. Description: Intended for educators from elementary school through higher ed, this MOOC will cover the use of iPads and other tablets for teaching and learning. Why you should take it: The eight instructors putting this course on from an officially designated "Changemaker Campus" promise to give you something new to try out from each session, including the use of digital storytelling and collaboration. Description: Your chance to gain the knowledge and skills to design inclusive learning experiences, especially for students with disabilities. Why you should take it: Finally, somebody will explain what you need to know about Section 508 standards and Web Content Accessibility Guidelines (WCAG) 2.0 guidelines in a methodical and understandable way — and help you figure out how to apply Universal Design for Learning! Description: Advance your understanding of accessibility issues in education, including legislation, universal design and assistive technologies. Why you should take it: You want to dive deeper into the tools and technologies that accommodate students with accessibility needs on campus. Description: This course will teach you how to develop policies and articulations for credit for prior learning (CPL), explain the use of portfolios and assessments and introduce you to existing credit "crosswalks" and assessment resources. Why you should take it: If your institution is considering competency-based learning, CPL is part and parcel, putting you at the front of the pack. Description: This UK-produced course covers multiple practices and pedagogies to help participants learn how to use blended or hybrid tools and technologies "with confidence." The "getting started" session is followed by an additional series on "embedding the practices." Why you should take it: Instructors in continuing education, skills training, adult education and similar environments face unique challenges in delivering blended learning to students who aren't necessarily digital natives. Remember, blended isn't just for the liberal arts! Description: Richard Elmore, a professor of educational leadership in the Harvard Graduate School of Education, takes participants on a tour of the "shifting landscape of learning." You'll explore how learning is changing in a digital culture. Why you should take it: Here's your chance to define your own personal theory of learning and have a good excuse to read the latest research on how neuroscience is affecting the future of learning.